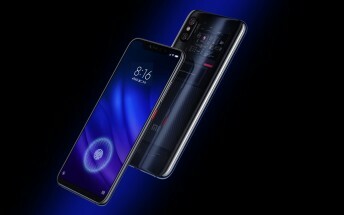 Xiaomi announced the Mi 8 with a transparent back as Mi 8 Explorer back in May. Then in September, the phone got renamed as Mi 8 UD in China and Mi 8 Pro on the global scene, but the actual arrival dates outside China remained uncofirmed. Until today - the device finally escaped the home market and reached Taiwan. The Mi 8 Pro has a 6.21” OLED panel with UD fingerprint scanner. There is a Snapdragon 845 chipset and 3,000 mAh battery that can be seen through the transparent back of the phone. The device also has a Twilight Gold variant, but it is yet to appear in a market outside its homeland. The 8/128 GB device goes for NT$15,999, which is pretty much the same as the original price of CNY3,600 or about $516/€450. It can be purchased at the Mi online store and some offline retailers starting today.